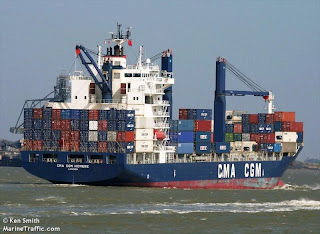 The lengthy hiatus in posts is the result of my spending two weeks aboard a cargo ship without an Internet connection. The lack of connection was an interesting experience in itself, but seeing the global trading system from the inside was even more remarkable. Before boarding the 170m vessel that would bring us back to Europe from Brazil I had seen the extraordinary documentary 'The Box that Changed the Britain' so knew something of what to expect from the vast logistical complexity and technological sophistication of the global trading system. But seeing the huge machines lift 40-tonne containers as though they were match-boxes was truly impressive. The first thing we learned was metaphorical rather than technological. I cannot remember now many times I have been told that things cannot be changed because it would be like 'trying to turn around a supertanker'. Well, from the vantage-point of a ship of similar size I can tell you that it can be turned around in little more than its own length, as we were when leaving our berth in Natal. Somehow this proof that the metaphor is nonsense cheered me immensely, undermining another ideological block to the rapid structural changes we need to make to the global economy. The largest port we visited was Rotterdam, which is actually three ports in one with another one under construction and a third on the drawing-board for 2020. Altogether these ports span 50km of land, much of it reclaimed from the sea, it is only the fourth largest port in the world. 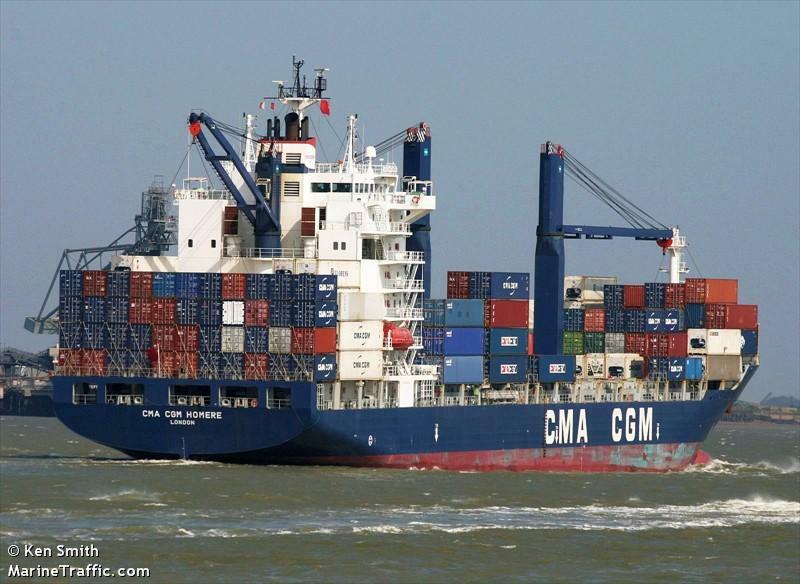 Our ship, the MV Homere was 'small' at just 170m long. We saw ships three times the size, capable of carrying 12,000 TEU and there are plans to build ships nearly twice this size. Physically this is overwhelming but the energy it takes to construct and maintain such facilities is horrifying. The reason for my cargo-ship passage was to hitch a ride on a voyage that was already committed and so reduce my carbon impact. Although this may have worked at a personal level it was reduced to absurdity by the flights taken by the 23 crew members who made my journey possible. The shipping company that employs them flies them home after each 42-day contract from wherever they are to wherever their home is. Since our crew had more Filipino crew than Romanians (the two countries that make up the majority of the world's fleets) this meant at least 15 return flights to Asia to enable my air-free passage plus a slightly smaller number of European flights.